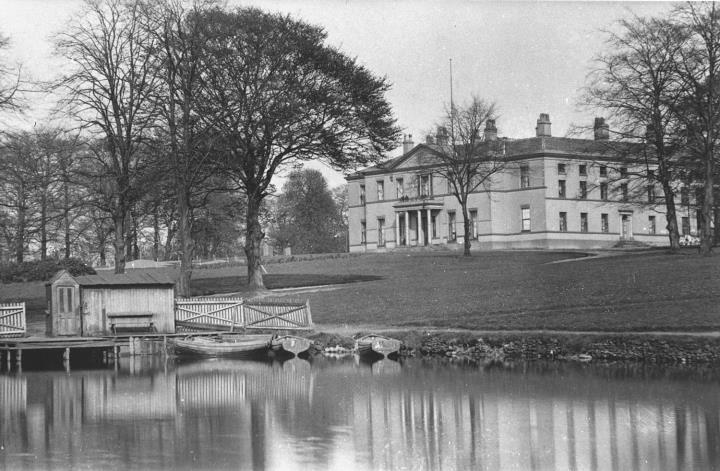 Description:Clough Hall, a large mansion house, was built by Jon Gilbert in around 1800 and was demolished in about 1927. Between 1817 and 1874 Clough Hall was the home of the Kinnersly family, bankers and iron merchants in Newcastle-under-Lyme. 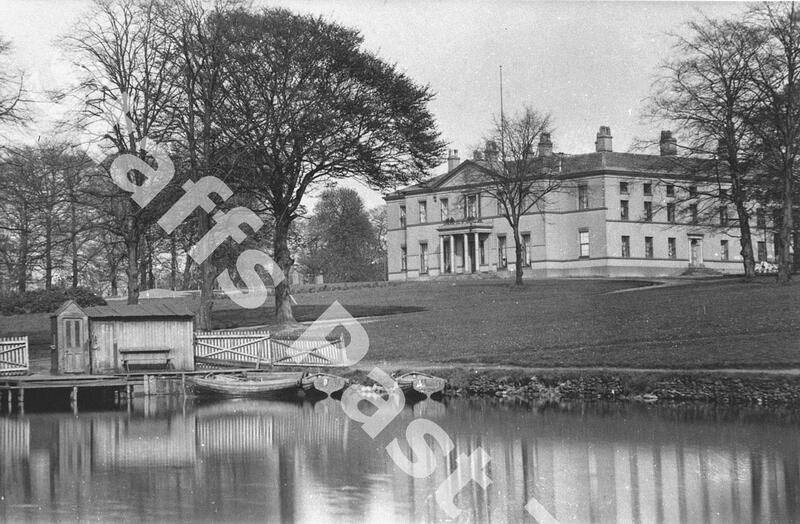 The Hall was bought in 1890 by a firm from Manchester who turned the grounds into a pleasure park, with ornate gardens, rides and fetes. During World War One the hall became a hotel and housed some Belgium refugees for a time. After the war little interest was shown in the site, it fell into disuse and the hall was finally demolished. William Hackney was the caretaker at Clough Hall at the turn of the 20th century, and was shown as living in Clough Hall in the 1901 census.